I just thought I should write a brief blog entry to inform you all that Natalie and I have our audition in front of Leonova tomorrow. There are around 50 audition entries tomorrow and a further 50 on Wednesday as some teachers have entered their students doing solo pieces. It’s safe to say when the notice was placed on the board regarding the dates and times, you could feel nerves and tension fill the corridor. As it is my first time auditioning for a part in a school performance I am very excited and determined to perform at my strongest and do my utmost to hide any hint of nerves that may be bubbling in my stomach! I have not performed on stage in what feels like such a long time so although this is only the audition, I am feeling ecstatic already at the prospect doing what I love in front of a live audience again! After a long day of dancing and rehearsals today the dancing will not stop for Natalie and me as we have decided to do another rehearsal after dinner for ourselves, to break down the dance bit by bit to ensure we are dancing as “one” and can perform something that our ballet teacher Revich can be proud of! Please keep your fingers crossed that my pointe shoes hold up and I look forward to telling you how it goes! Did you catch me on BBC Breakfast? Yesterday I was featured in a news item on BBC Breakfast along with Natalie Carter and Daniel Dolan! Filming was a great experience and a fantastic opportunity to show what happens here at the Bolshoi. If you missed it, you can watch our except on the BBC News website. Dancing, gymnastics, Russian language, auditions and filming! These past few months studying at the academy has made me realise how tough and draining the Russian technique can be on your body! I can honestly say that I have never been so tired physically and mentally in my life, and using the phrase ‘dragging myself out of bed in the morning’ is definitely an understatement. My ballet teacher Revich felt that our timetable for everyday just wasn’t quite “enough” so she managed to fit in a few more classes and we now also have gymnastics twice a week!! I have never experienced intense stretching quite like this EVER and it pains me to say that it is more like contortion-isms than anything I have ever experienced. However, there is method in Revich’s madness and these classes will most definitely benefit me in ballet class as it will increase my flexibly, turnout and ability to cope when my body is in a lot of discomfort. I am very excited to inform you all that Natalie and I have been cast to do a duet which will possibly be performed in a school performance on the 4th of March. I have very mixed emotions at this point in time, ranging from excitement, apprehension and feeling very overwhelmed that I have being given this opportunity. My school director Leonova will cast the final decision on whether she feels that I am worthy to perform this piece. All pieces have to be performed in her presence and she will give her final vote of approval before they are shown to an audience. This school expects perfection, so in my final audition the director will examine my technique and artistry and she will closely scrutinise every detail. It is a great feeling that the choreographer and Revich are giving me the opportunity to even audition! So even if i am not successful this year, dancing in front of the staff and other pupils in the audition will still be a great experience. Please all keep your fingers and toes crossed for me and hopefully when I report back in my next blog I will have achieved my goal and will have pictures of Natalie and I in our tutus! An added bonus to my week is that Revich now teaches our Saturday morning ballet class on the stage which then also runs into repertoire class. This is great for two reasons, firstly because Russian stages are extremely raked so it enables my body to adapt and teach itself how to vary my balance and weight distribution in different moves. Secondly, I feel very privileged to to do this as normally the academy don’t allow you to take class on stage till at least second course. This shows Revich is a very influential and special teacher within the school to be able to give us permission to dance on this historic stage. I absolutely love dancing on the stage every week as although there is no audience sitting in the auditorium you still get that feeling of butterflies and excitement, and this feeling is truly what keeps me motivated to becoming a professional ballet dancer. Ballet this week has had its ups and downs, one step forward and two steps back (as my mum always says) but as usual I always remain in a positive frame of mind as I know I am learning completely new ways to train my body. I am feeling optimistic that the week commencing will be very positive and productive. My aim of the week is to pay close attention to my turn out and gain stretch through focusing on one vital aspect in class. My ballet teacher is simply amazing and in every class always gives me something new to work on/ think about. However, my brain has been completely frazzled this week with rehearsals and classes and also preparing for my Russian language exam, so I really need my weekend to give me a chance to sit down, breathe and relax and also prepare myself for another very hectic week. I am very jealous that all my friends back home in Scotland have a sneaky week off at the moment! The upside of this though is the fact that it means they are more likely to get online and have a good catch up with me. Also they are all having auditions for their planned schools in London for when they leave the family nest this year, so good luck guys you all deserve the very best and i am thinking of you all! Once again the dreaded homesickness has returned and has been a bit of an issue for me over the past couple of days but I do believe this is just linked to my tiredness and I will be bright and dandy in a few days. I do miss my family and friends a lot when I am away, but I know they are always there for me whenever I need a wee chat! That’s why I am forever thankful to everyone back home for being my backbone in times of need. I have recently been interviewed by the Sunday Post from Scotland via telephone and it was a lovely experience although they forgot to add that the Genesis Foundation helped me pursue this chance of a lifetime and that I am so thankful for being given this chance to be here. My mum scanned the newspaper article for me to see… I didn’t realise I was such a fan of Irn Bru! The Daily Mail in Moscow also came to visit and took some lovely photos in class and outside St Basils Cathedral, and also an interview so watch out for it in the papers back home in Scotland (it should be in the Daily Scottish Mail or The Mail on Sunday). Also, big congratulations to the Genesis Foundation on their 10th anniversary! Without the help and kindness shown to me and others alike, we would never have had the opportunity to fulfill our lifetime ambitions. So thank you from the bottom of my heart! Natalie, Dan (Daniel Dolan from Liverpool) and myself also had the opportunity this week to be filmed by the BBC; they came to film us within a dance and Russian language setting within the school and they are coming back next week to finish filming Natalie and I in some Narha classes also. I don’t really know when exactly this will be shown on TV as I have still to be told all the details but hopefully it may be on the news next week… so fingers crossed and I hope you all like what you see! 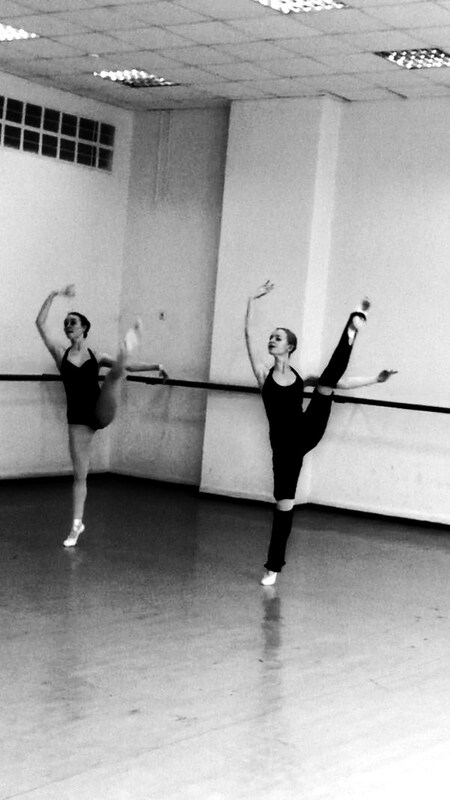 Well the weekend had flown past once again is it is now time to prepare for another week in the Bolshoi Ballet Academy. Class begins bright and early tomorrow! So I better get my leotard and pointe shoes ready for another week full of new experiences! I will catch up with you all soon and I hope you all enjoy learning about my new life in Russia as much I as enjoy keeping you updated!